There is the sun! – Aurinko paistaa! I was studying yesterday and suddenly realised the sun is shining. Yay! In disbelief I quickly checked the air quality. It was 80! I got so exited about this and took my studies outside. I really really hope the haze is now going away as Indonesia has finally accepted Singapore’s offer of help with the haze. Eilen saimme pitkästä aikaa nauttia auringonpaisteesta. Kesken opiskelun huomasin yht´äkkiä auringon paistavan. Ihana sininen taivas ja aurinko. Eikun äkkiä kirja kainaloon ja ulos terassille, vaikki hiki virtasi ihan varjossakin. Tätä lisää kiitos! 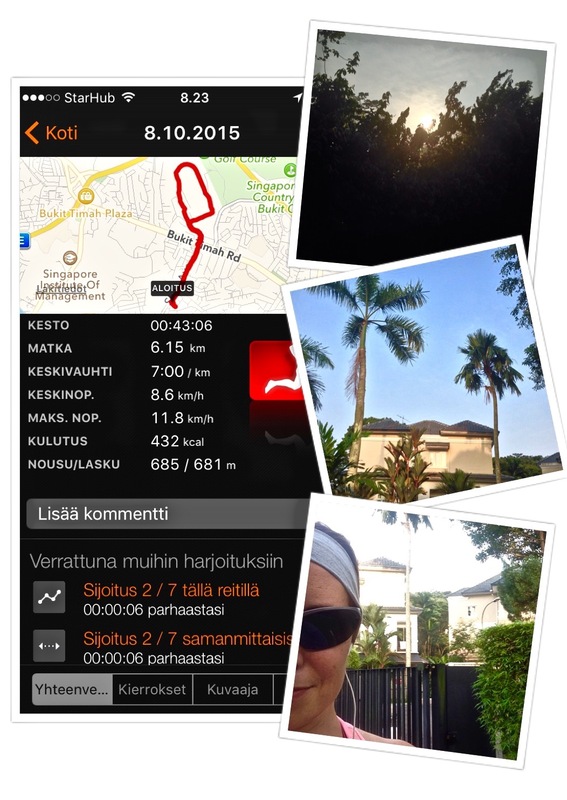 This morning the weather was still good enough for running. I can’t tell you how much I’ve missed this. I enjoyed every minute! Now I’m full of energy to get back to my studies and baking…Yes, baking. Does International Day ring a bell? If yes, you know what’s coming. If not, you’ll find out in few days. 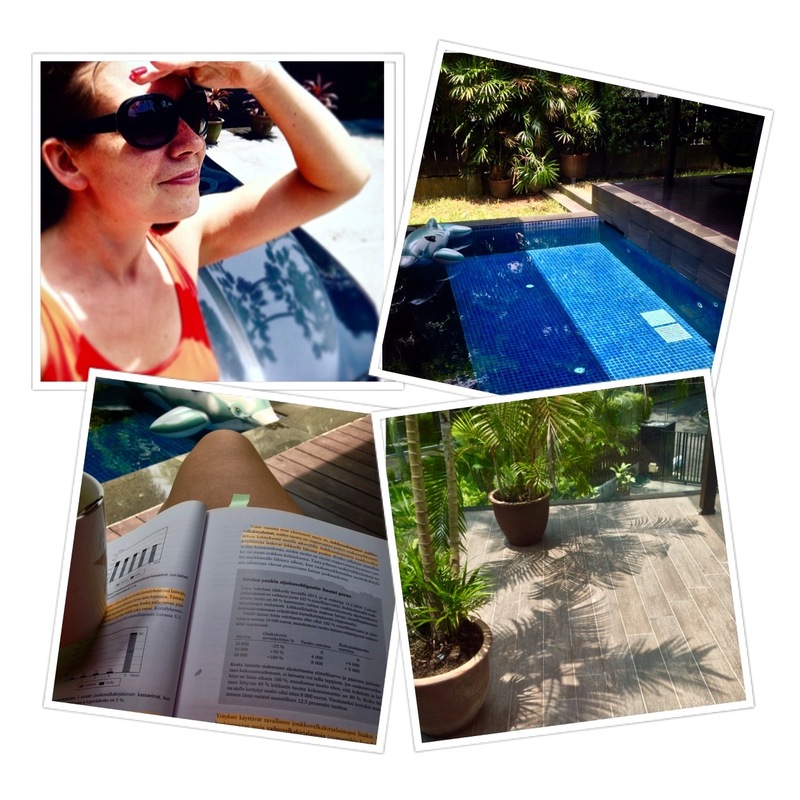 This entry was posted in Lifestyle on 08/10/2015 by Milla.